RIPE Altadena » Blog Archive » Backyard Produce: Wither or Whither? Backyard Produce: Wither or Whither? 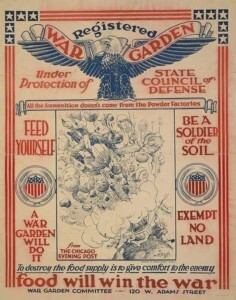 More of these can be found at the Library of Congress picture catalog (search for victory garden posters). 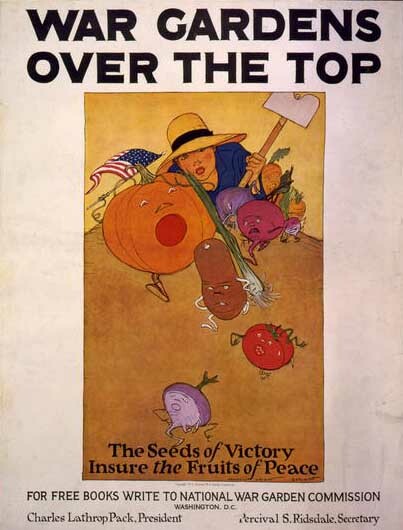 Last weekend, at the California Rare Fruit Growers Festival of Fruit, Rose Hayden-Smith of the UC Victory Grower site (http://groups.ucanr.org/victorygrower/index.cfm) gave a rousing talk about how there is a new “victory garden” movement – call it “victory over type II diabetes”- and even the USDA is getting involved (in a positive way). There are movements afoot to make it easy for schools to have their own gardens and eat what they grow (even the businesses that provide school lunches are supporting this – with their own money), and to encourage urban gardens. 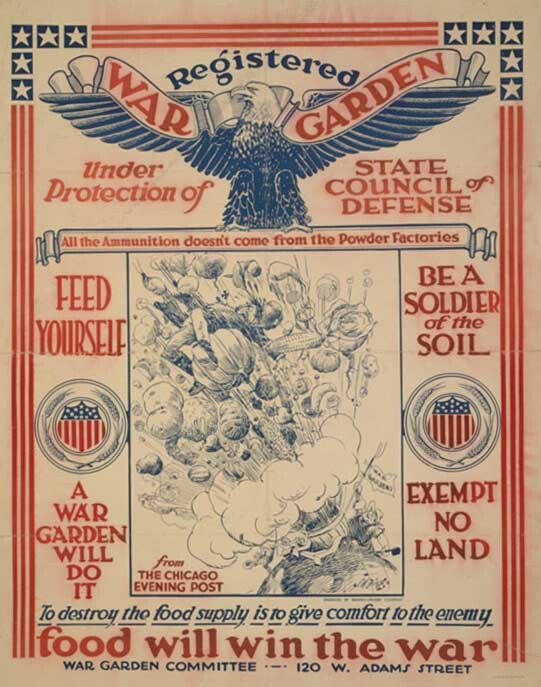 A great example of this is the Richmond Public Library up in the San Francisco Bay Area – where a community garden planted in front of the library has blossomed into a full fledged movement. They now have a seed bank in the library! Looking around, I see more encouraging signs now than ever before in my lifetime that there are grass roots movements that are affecting more than a few committed individuals. 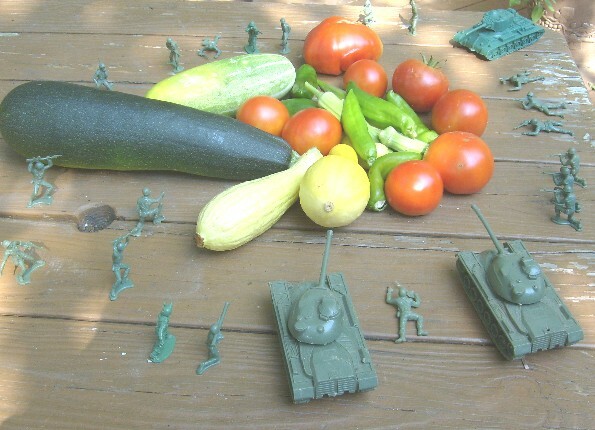 How can we lose when the veggies themselves (see below) are on our side?